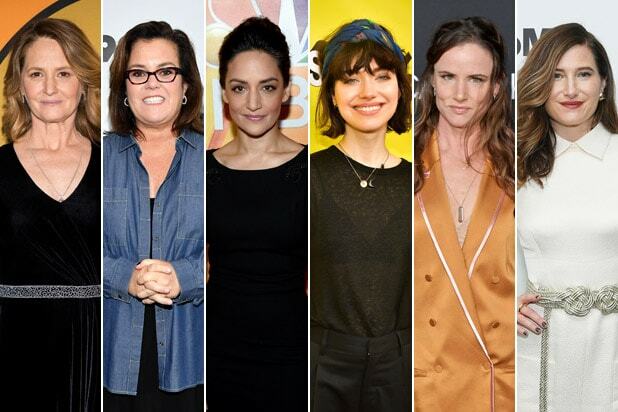 Melissa Leo, Rosie O’Donnell, Archie Panjabi, Imogen Poots, Juliette Lewis and Kathryn Hahn have all joined the the six-episode series starring and executive produced by Mark Ruffalo. An adaptation of the 1998 Wally Lamb novel of the same name, the long-gestating project is described as “an epic story of betrayal, sacrifice and forgiveness, set against the backdrop of 20th century America.” Ruffalo will star as twin brothers Dominick and Thomas Birdsey, one of whom suffers from paranoid schizophrenia. Leo will star as Ma, a.k.a. Concettina Ipolita Tempesta Birdsey, mother of Dominick and Thomas. Hahn will play Dess Constantine, Dominick’s ex-wife, while Poots will play Joy Hanks, the character’s new live-in girlfriend. Nedra Frank, the self-absorbed grad student hired by Dominick, will be played by Lewis. O’Donnell plays Lisa Sheffer, a social worker for unit two at the Hatch Forensic Institute where Thomas is staying, with Panjabi playing his newly appointed psychologist, Dr. Patel.